It's that time of year again. That's right. April 4 is my Birthday, and I want everyone to give someone else a present! You read that right. Somebody else, and I'm going to give you some incentive to do it. Gift One, Get One is back, and better than ever! You buy somebody an eBook from my list as a gift through Amazon and I give you (or somebody else of your choosing) a free eBook in return. Simple, right? This year there's a twist, because I've brought friends to the birthday party. Buy a copy of any one of these fantastic eBooks as a gift for somebody else, and you can choose any one of these books as the free gift as well. Great, yes? :) But hurry, some of these books are limited by the author. From April 4, 2013 until April 10, 2013, buy any one of the eBooks listed below as a gift for somebody else. When you do, Amazon will email you a receipt. Forward that receipt to me (taknight@dragon-wing.net) along with your choice of free eBook from the list below, and the email address to send the freebie to. I'll make sure that the freebie gets delivered. Dan lives in the UK, his hometown being Canterbury, Kent. A huge fan of both Fantasy and Manga, he has a style that combines both within his writing, which lets him tell stories that are both dramatic and tongue-in-cheek at the same time. He runs his own website, blog and even a wiki page that goes into detail of the world of Draconica. He is also a reviewer for the website Read2Review and also reviews books independently on his own website. Authors who have inspired Dan are Douglas Adams, J.R.R Tolkien, Harlan Ellison, Alan Moore, Joss Whedon, H.P Lovecraft, George R.R Martin and Hiromu Arakawa. Teleported to a strange fantasy world, troubled 15 year old Ben finds himself the target of the Baalarian Empire, who are seeking to use him in a terrible ritual. With no idea how he got here, and with intentions only to get home, Ben joins forces with Princess Daniar and Erowin Dragonkin to stop the empire. Only then will he find a way of getting home. Little does Ben realise that his role in this battle is far more vital than he realises and that his coming here was no accident. Long before the Dragonkin, the Valkyr once defended the planet Draconica from evil forces. Now they are all but extinct and Alix and Dylan are all that remain of their chapter, wandering the world and working as bounty hunters for a crime syndicate. But when a new evil arises that threatens to destroy the world they must spring into action or else the world is doomed. One problem - the heart of the evil is a woman whom Dylan thought he lost long ago. 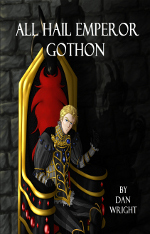 In this prequel to Trapped on Draconica, we visit the life of Emperor Erik Gothon III, the villain of the book. In his youth, Erik Gothon was an idealistic, if somewhat naive young man that sought to save the Baalarian Empire from the hell that his father had made it. However, his good intentions will eventually destroy those around him - even that of the woman he loves. 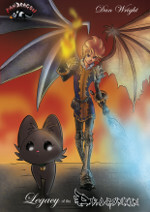 Benji Dragonkin wants to be a hero, just like his mother, Queen Daniar Dragonkin. One problem - he has no idea what it takes to be a hero. In the lands of Drewghaven, the Kthonian Knights return from their imprisonment, keen to continue their path of destruction. Their leader, Jihadain, has an old score to settle with Daniar. And may just break her in the process. 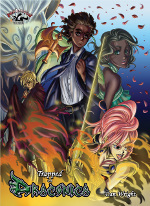 Follow the laughs, drama and action as Benji takes his first step into the realms of heroism. The magic of art and nature often spark life into her writing, as well as watercolor painting and drawing. After a move from Toledo to Tampa in 2008, she's happily transformed into a Floridian, in love with the outdoors. Marsha is crazy about cycling. She lives with her husband on a large saltwater lagoon, where taking her kayak out for an hour or more is a real treat. She never has enough days spent at the beach, usually scribbling away at stories with toes wiggling in the sand. Every day at the beach is magical! She's been a yoga enthusiast for over a decade and is excited to be taking part in a Kripalu yoga teacher training program during 2013. That spiritual quest helps her explore the mystical side of fantasy. Lyra McCauley is a writer and loves fantasy novels, but until she opens a selection from bookstore owner Cullen Drake, she has no idea he's a wizard character who lives a double life inside that volume... or the story's magic will compel her from the edge of depression to adventure, danger, and love. His gift to Lyra, the Book of Dragonspeir, was actually her copy, misplaced years ago. Lost in her pain following divorce and death, she fails to recognize him as her childhood playmate from the fantasyland. Friendship builds anew. Attraction sparks. 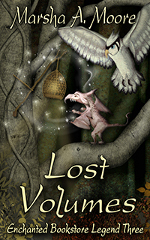 But Lyra doubts whether a wizard is capable of love. She's torn - should she protect her fragile heart or risk new love? 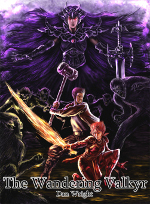 Opening the book's cover, she confronts a quest: save Dragonspeir from destruction by the Black Dragon before he utilizes power of August's red moon to expand his strength and overthrow the opposing Imperial Dragon. Lyra accepts the challenge, fearing Cullen will perish if evil wins. Along with magical animal guides, Cullen helps her through many perils, but ultimately Lyra must use her own power... and time is running out. Lyra McCauley receives an alarming letter from the coroner who evaluated her deceased aunt, originally thought to have died of cancer. The news causes Lyra to take leave from her job and travel from sunny Tampa to the frozen island community in northern Michigan. Questioning whether Dragonspeir magic was responsible for her aunt's death, she resolves to learn the truth and accepts the Imperial Dragon's appointment into the Alliance sorcery training. Additionally, becoming proficient in magic craft is the only way she can bridge the gap between her mortal human world and her lover's. 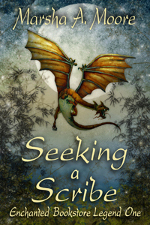 Cullen, a 220-year-old wizard, is dependent upon his Dragonspeir magic for immortality. He is her only family now; she cannot lose him. Evil forces block her and try to steal her inherited scribal aura. Riding a stealth dragon, a cloaked rider pursues Lyra. Both the Alliance and Dark Realm alchemists lay tricks and traps. Her aura equals that of the first and most powerful Scribe, but will Lyra's novice training allow her to discover the truth... and find a life with Cullen? Or will the Dark Realm keep them apart? When Lyra McCauley learns residents of Dragonspeir's Alliance are suffering with a deadly plague, she doesn't heed the warnings of her fiancé, wizard Cullen Drake, to remain safe in her human world. After all, she's the present Scribe - one of five strong women in her ancestry who possessed unique magic, each destined to protect the Alliance against the evil Black Dragon of the Dark Realm. With Cullen dependent upon Alliance power to maintain his immortality, the stakes are doubled for Lyra. Jonathan Gould has lived in Melbourne, Australia all his life, except when he hasn't. He has written comedy sketches for both the theatre and radio, as well as several published children's books for the educational market. He likes to refer to his stories as dag-lit because they don't easily fit into recognisable genres (dag is Australian slang for a person who is unfashionable and doesn't follow the crowd - but in an amusing and fun way). You might think of them as comic fantasies, or modern fairytales for the young and the young-at-heart. Over the years, his writing has been compared to Douglas Adams, Monty Python, A.A. Milne, Lewis Carroll, the Goons, Dr Seuss, Terry Pratchett, and even Enid Blyton (in a good way). A story about a little person in a very big world. Magnus Mandalora never thought he would leave the safe confines of the small homely village of Lower Kertoob. He certainly never expected to end up in the middle of a long-running war between the saintly Cherines and the beastly Glurgs. But when circumstance places him in such a dubious position, he finds himself on a rollicking adventure where nothing is quite as it seems. 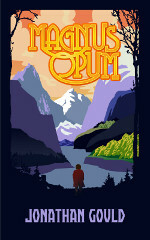 Magnus Opum is an epic fantasy that's slightly skewed - Tolkien with a twist. Jack D. Albrecht Jr., 33, resides in Colorado. He is a devoted father and a full time student. His new found passion for writing consumes most of his time, but once in a while he can still be found under the hood of a car or studying for his Pharmaceutical degree. Jack has been an avid reader for most of his life, with Sci-Fi and fantasy being his favorite genres. Osric's Wand: The Wand-Maker's Debate is his first novel, co-authored by Ashley Delay. Ashley Delay, 27, resides in northern Colorado. She is a single mother, full time student, and owner/operator of three businesses. 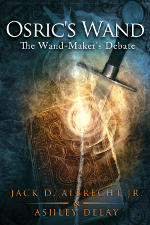 Osric's Wand: The Wand-Maker's Debate is her first published novel, co-authored by Jack. WARNING: This is not your typical talking-animal fantasy! There is a time when history begins; a time when those who live feel the need to write their story, for those who come after them to read. When recollection of events of importance cannot be left to one's offspring alone, but must be shared with all. This is that world; this is truly their beginning. What they thought was knowledge, was only a foundation. They will delve into a depth they have never known, discover things they never thought imaginable, and struggle to uphold the truth rather than be consumed by it. With magic in its infancy, and a world in turmoil, an endless chain of possibilities lie dormant. Rousing them has the potential for paragon or chaos, and only time will tell. Just as Leonardo da Vinci has mapped out the human body, and the world has begun to discover the mysteries within, so it is on Archana. With the rudimentary structure in place, they now have what it takes to discover what magic can do; both the mundane and the divine. Lore begins in these days, and mythology will forever echo their names. Tom Keller is a retired police sergeant, former computer forensics expert and investigator. He lives in Las Vegas, Nevada. 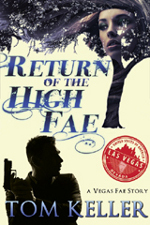 He is currently working on the second book in the Vegas Fae series. Magic was never part of ex-cop and PI, Robert Hoskins', world. But after battling what turned out to be three wizards carrying magic wands his life just became more complicated. A well placed shot by one of the mages has cracked a spell that protected Robert from his past...a past he never knew...a past he's not sure he wants. Robert's destiny has caught up with him...but is he ready for it? Do Demons, Gods, Elves, and Faeries really exist? Are Vampires truly the children of Lilith? Robert didn't believe it at first either. Thomas A. Knight built a career out of software development and took up writing in his spare time. Since then, he has released two books and is in the process of writing a third. His novels are epic fantasies set in Galadir, an alternate world of his own design. 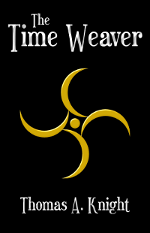 His debut novel, The Time Weaver, is the recipient of an indiePENdents Seal of Good Writing, has reached both the Sci-Fi/Adventure and Epic Fantasy Amazon best-seller lists, and is considered by many to be an exciting and unique story that appeals to readers of all types. When he's not writing or developing software, Thomas enjoys family time with his wife and two little girls, or playing fantasy role-playing games. He is also an avid supporter of Free and Open Source software, and uses entirely Linux and open source software in the writing and production of his novels. A reluctant hero must come to terms with a new world, new powers, and a family history buried deep in the folds of time. Seth Alkirk is a 30-year-old programmer who doesn't know he can control time. Problem is, others do. When he's kidnapped from his quiet Iowa life and taken to the parallel world of Galadir, Seth thinks he's in a dream from which he can't wake. His kidnapper, the warrior Malia, needs his help. 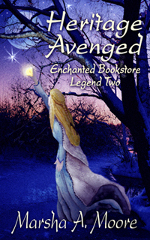 Her kingdom is in danger from an evil wizard who will stop at nothing to exact revenge on those who exiled him. Seth needs her protection. The same wizard is after Seth's powers, knowing they will grant the advantage he needs to conquer Malia's kingdom. Seth and Malia must work together as they travel hundreds of miles to reach the safety of her castle. Learning to accept and control his powers is the hardest thing Seth has ever had to do, but the longer he spends in Galadir, the more he grows to love this new world and the female warrior accompanying him. When a much more ancient and dangerous wizard awakens and threatens to destroy Galadir, Seth is the key to defeating him. Now he must save a world he never knew existed with magic he never knew he could wield, if only he could learn to control it in time. ...a warrior of light defeated an insane wizard, but behind every heroic story lies a truth never told. A man washes ashore on the island of Arda after a terrible storm, remembering nothing but his name: Krycin. The blue wizard Gladius finds him, takes him in, and is determined to help Krycin regain what he's lost. The Fates have other plans. Krycin's presence on Galadir is disrupting the fabric of the universe. The solution? Eliminate him, by any means necessary. When Gladius sides with the council, his efforts to destroy Krycin spark a war that threatens all life on Galadir. In order to save himself and what remains of his people, Krycin must defeat Gladius, but time is running out. Every step Krycin takes to destroy Gladius makes things worse, and now a massive army is marching on Findoor. 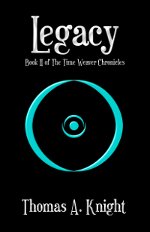 Krycin must come up with a way to defeat Gladius before it's too late, and forge his legacy for the future of Galadir.